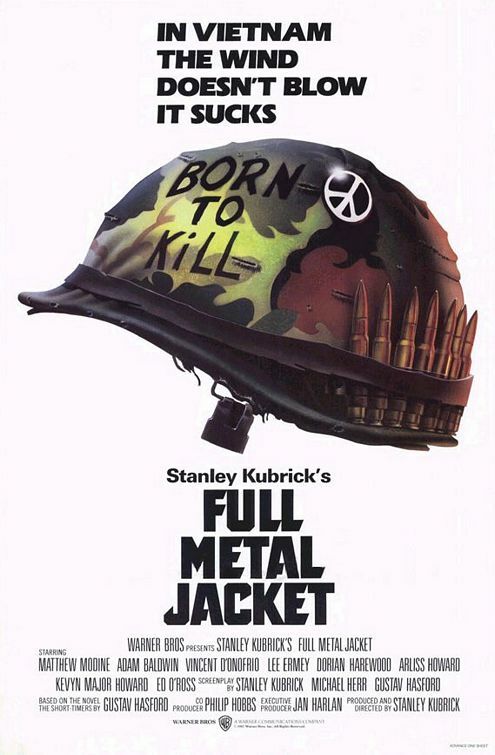 Stanley Kubrick returned to filmmaking from a seven year hiatus with 1987's Full Metal Jacket about the dehumanizing effects of the Vietnam War, following a group of raw Marine recruits from brutal boot camp to the bloody street fighting of 1968 Vietnam. 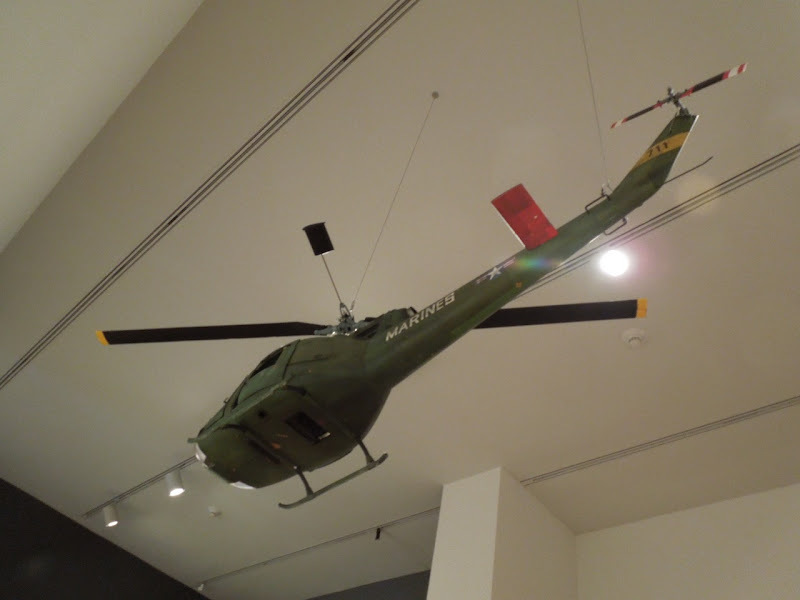 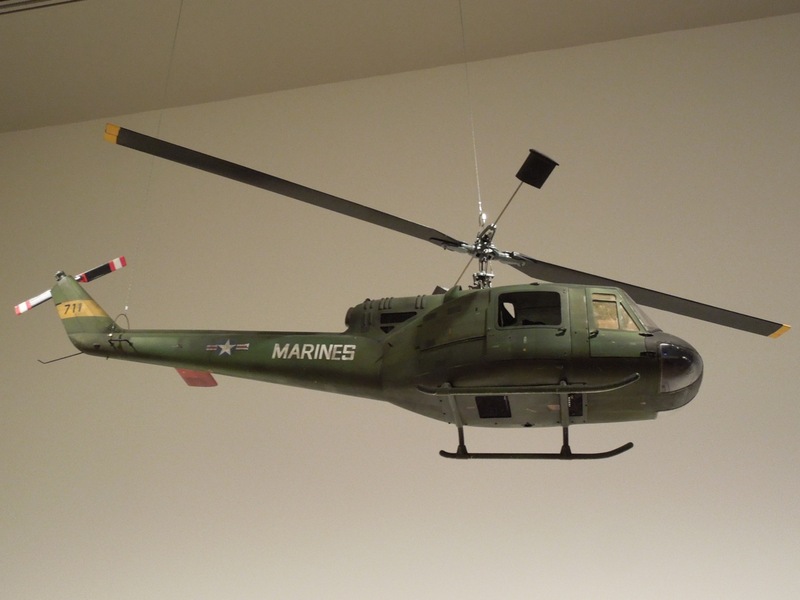 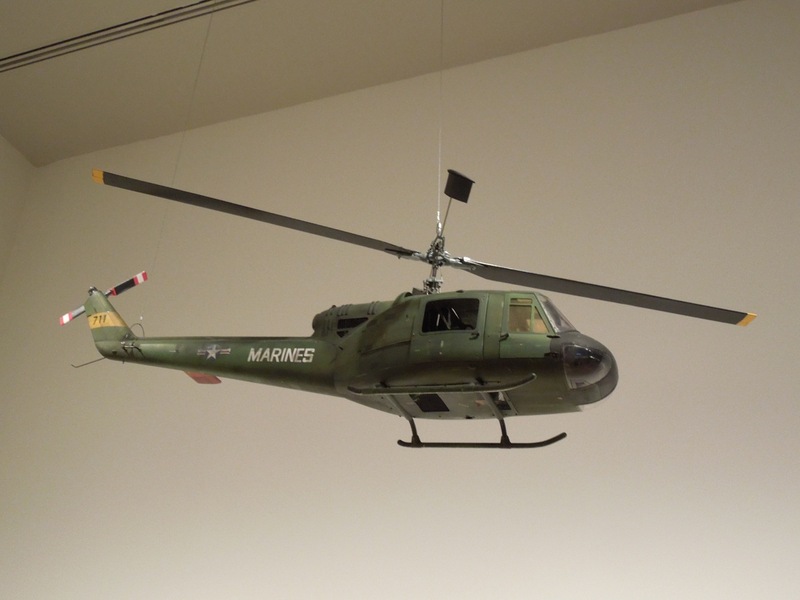 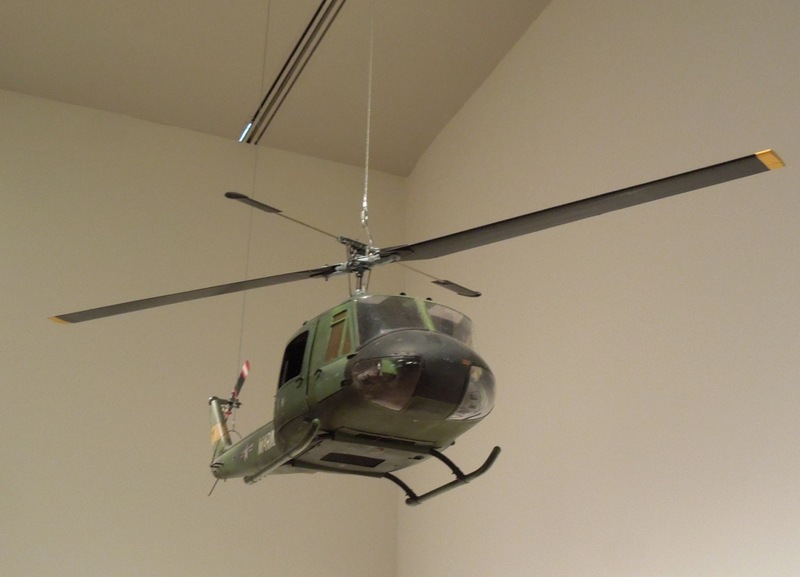 This remote-controlled helicopter miniature model featured in the war movie was photographed on display at the amazing Stanley Kubrick exhibit at LACMA (Los Angeles County Museum of Art) on January 10, 2013. 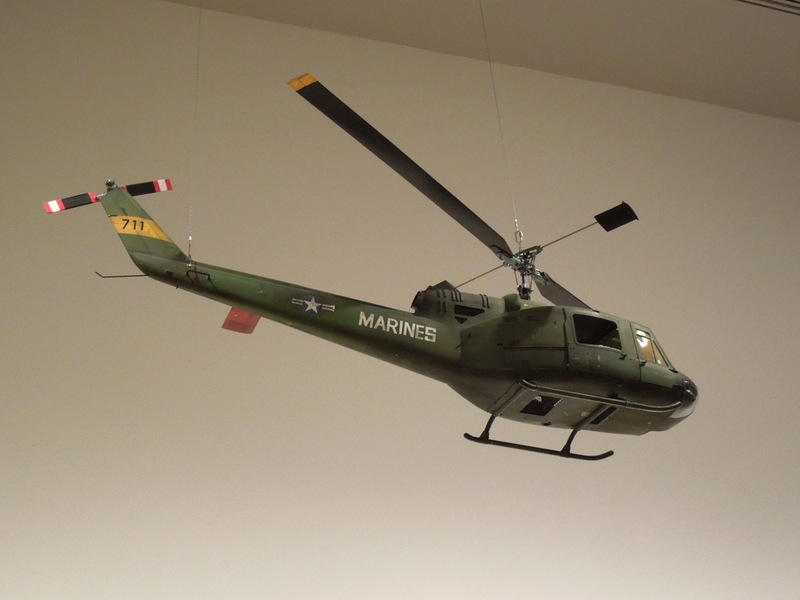 If you like this helicopter model, be sure to also check out this Airwolf helicopter miniature from the 1980's TV series. 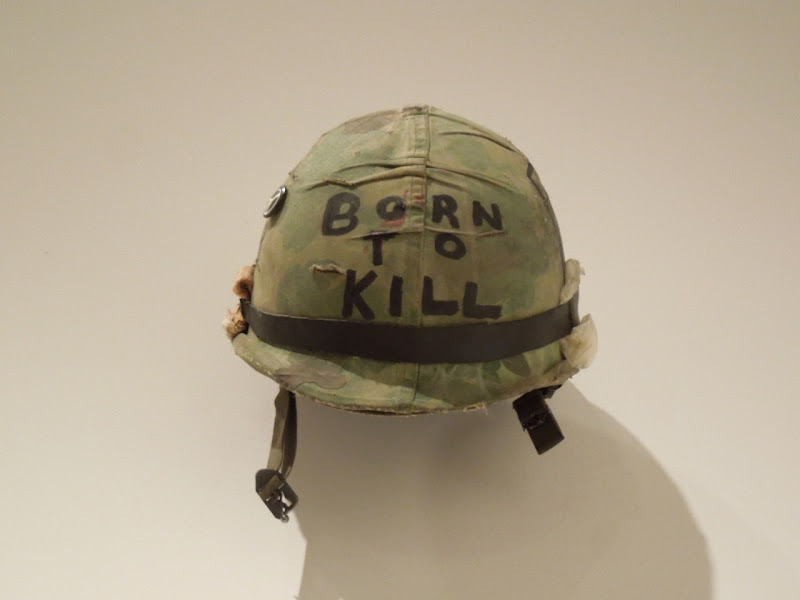 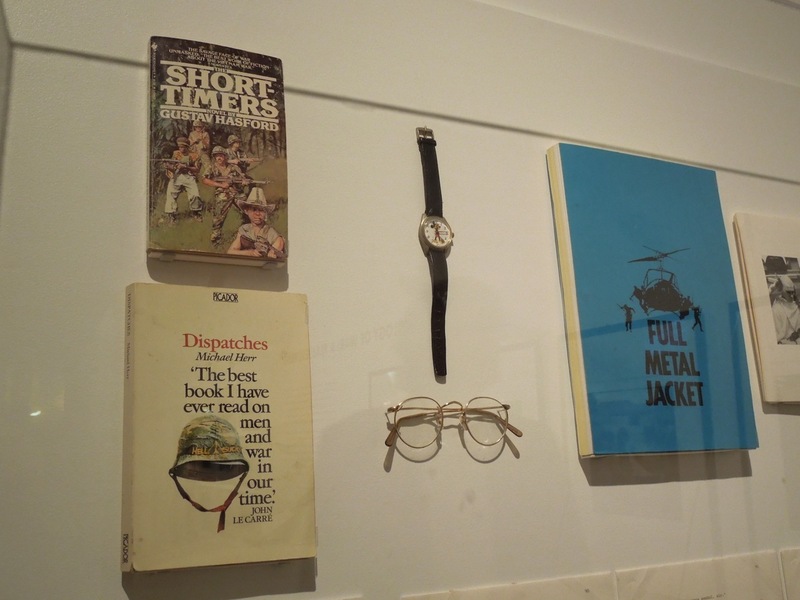 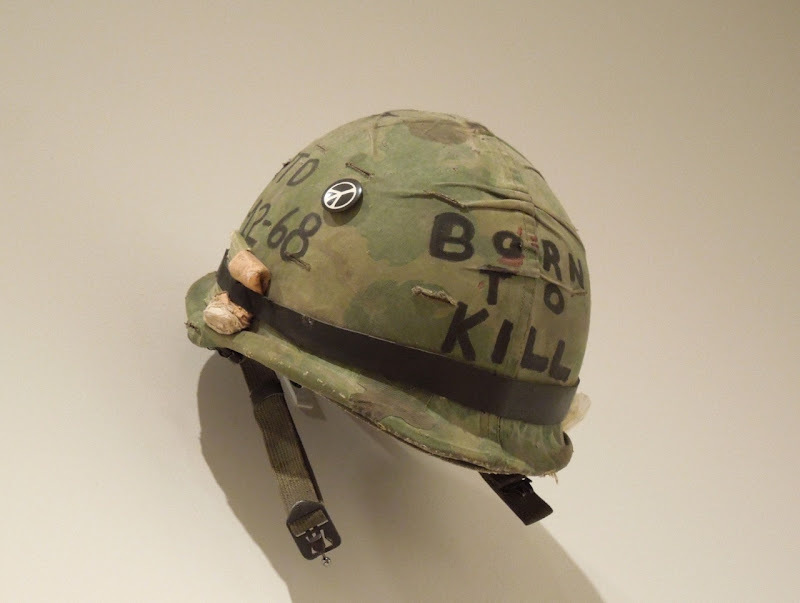 Also on display was the iconic helmet and other props used by Matthew Modine as 'Private J.T. 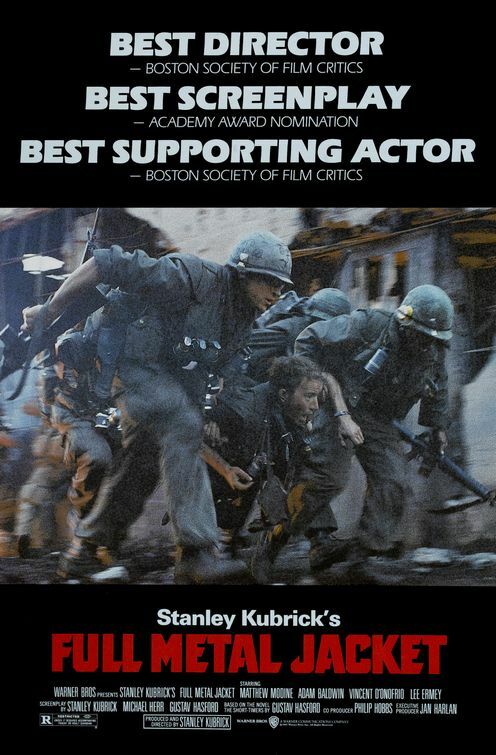 "Joker" Davis' in the film.